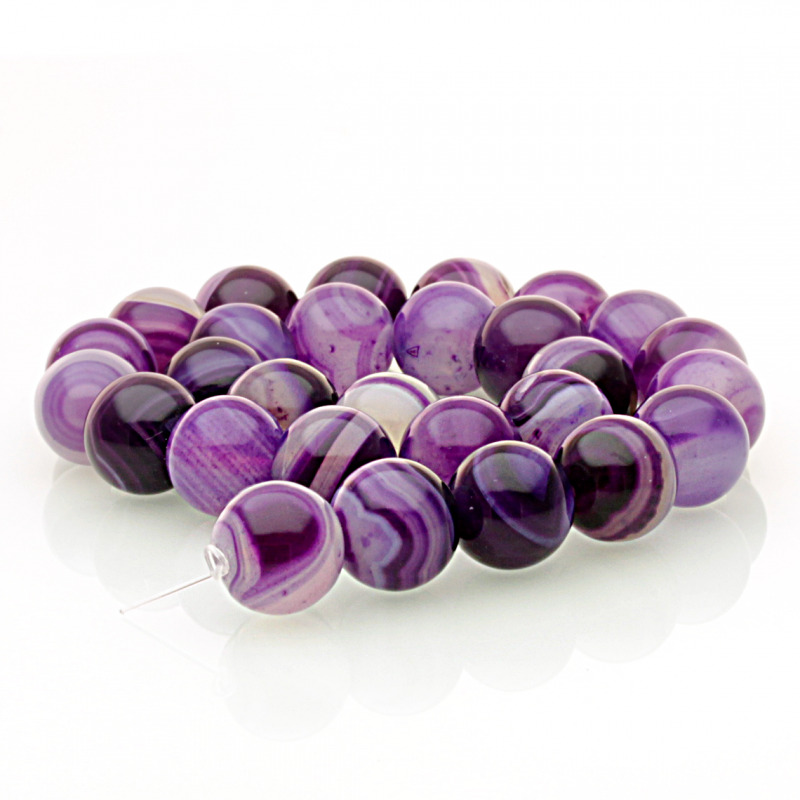 Holed agate round beads, strung into strips about 40 cm. 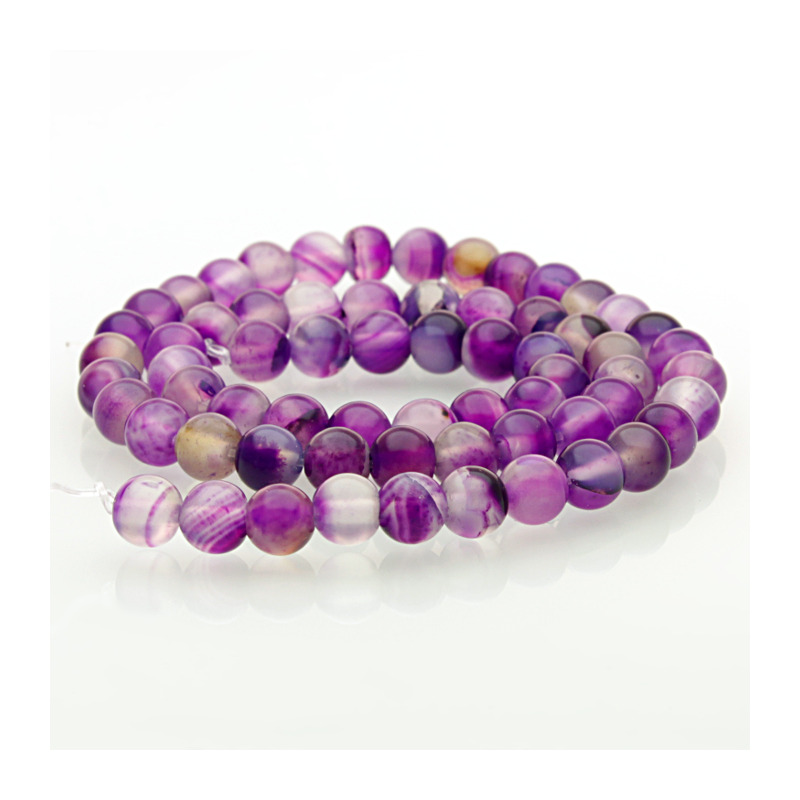 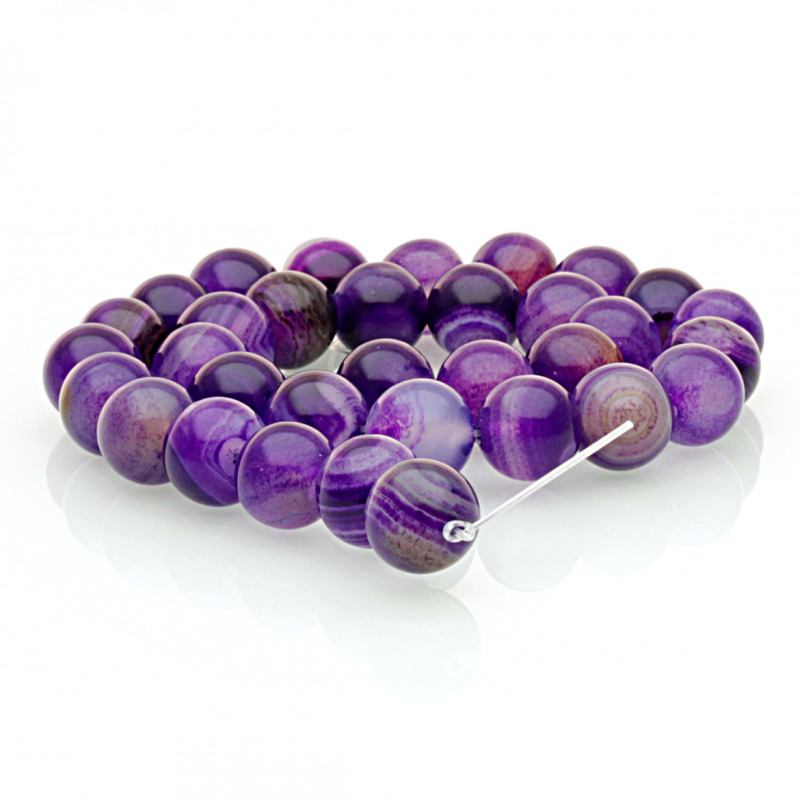 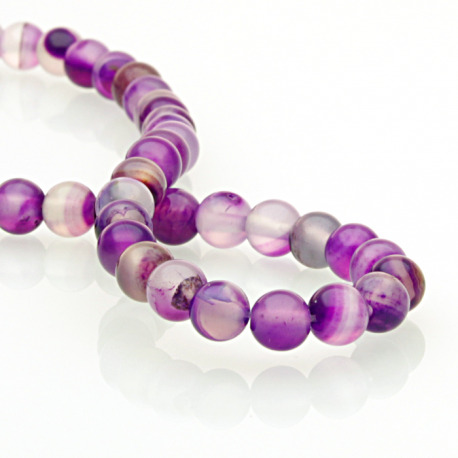 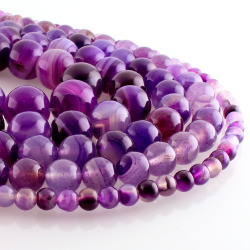 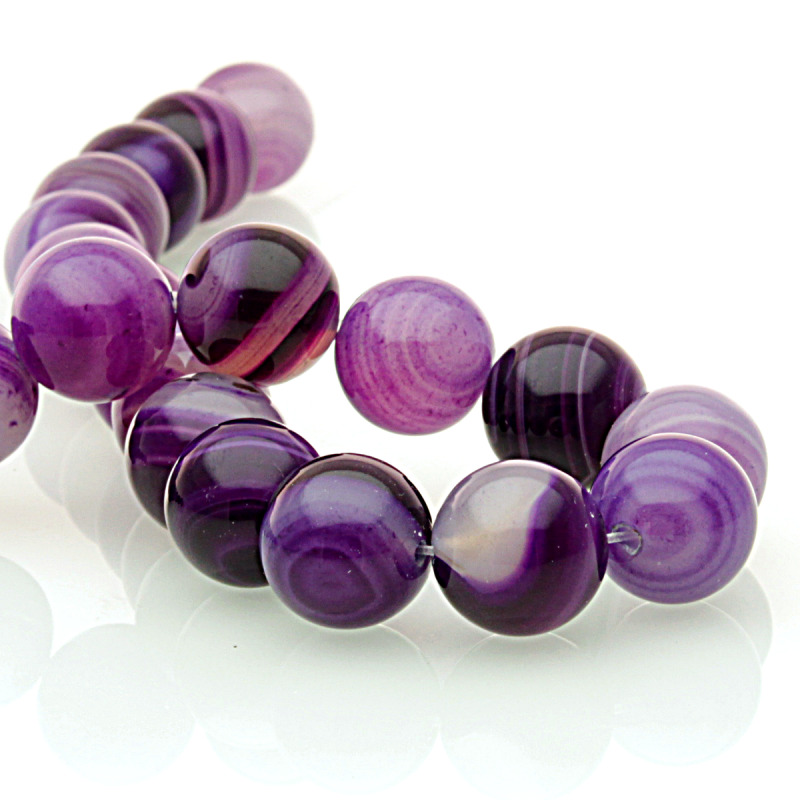 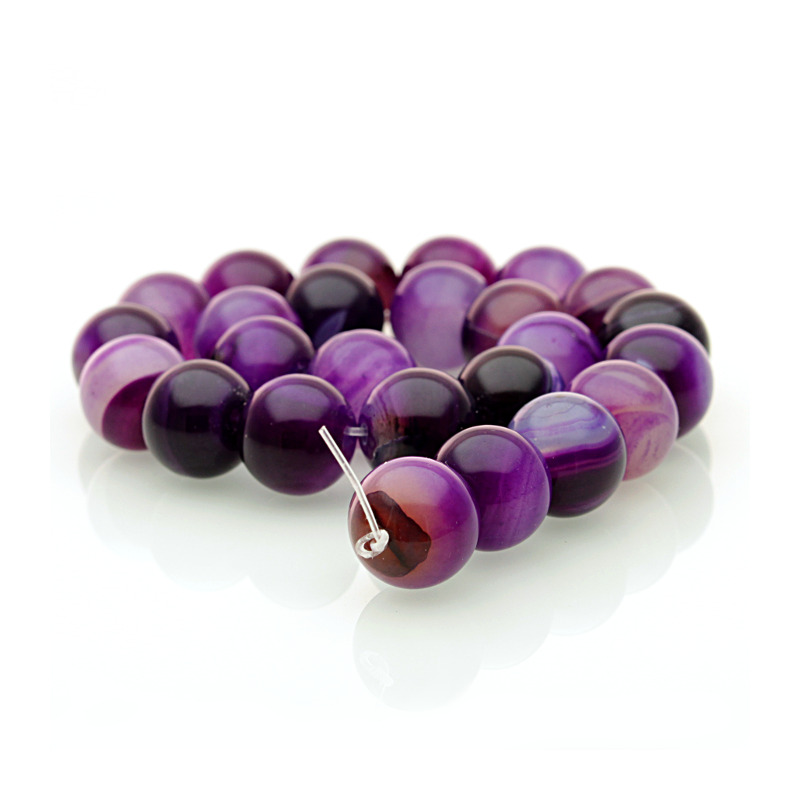 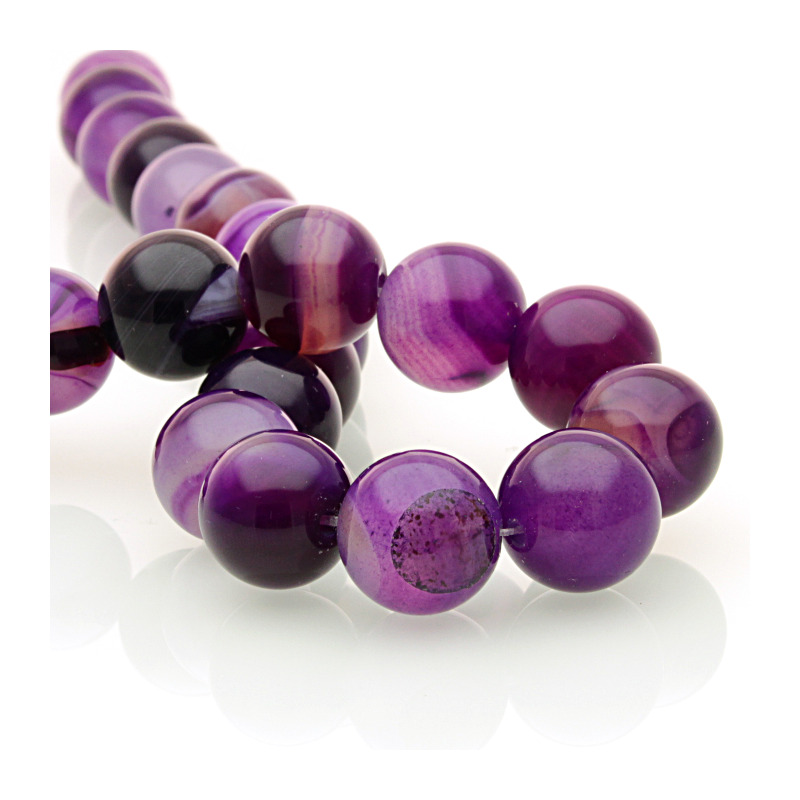 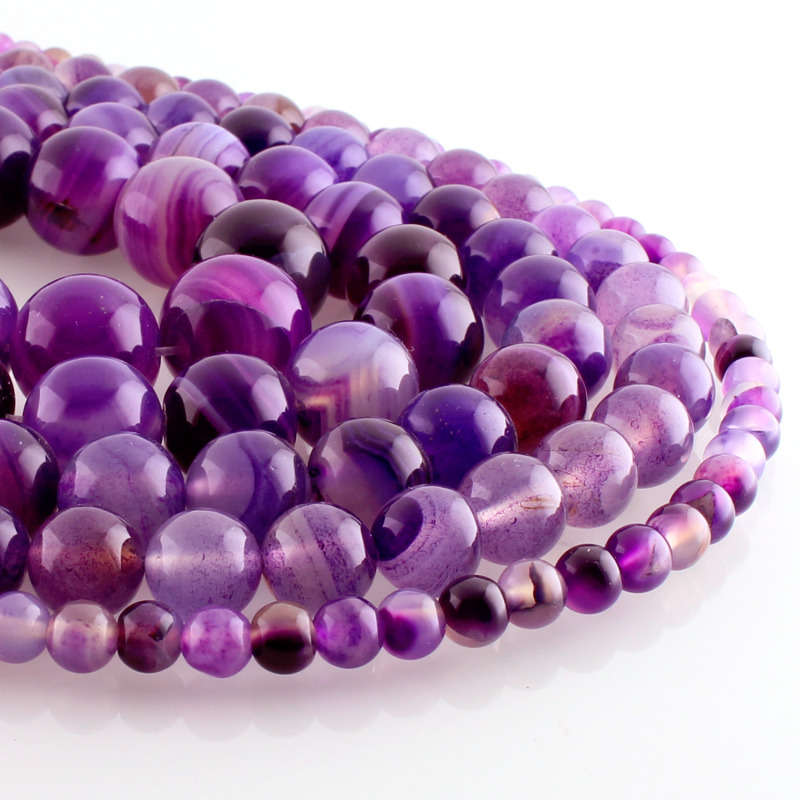 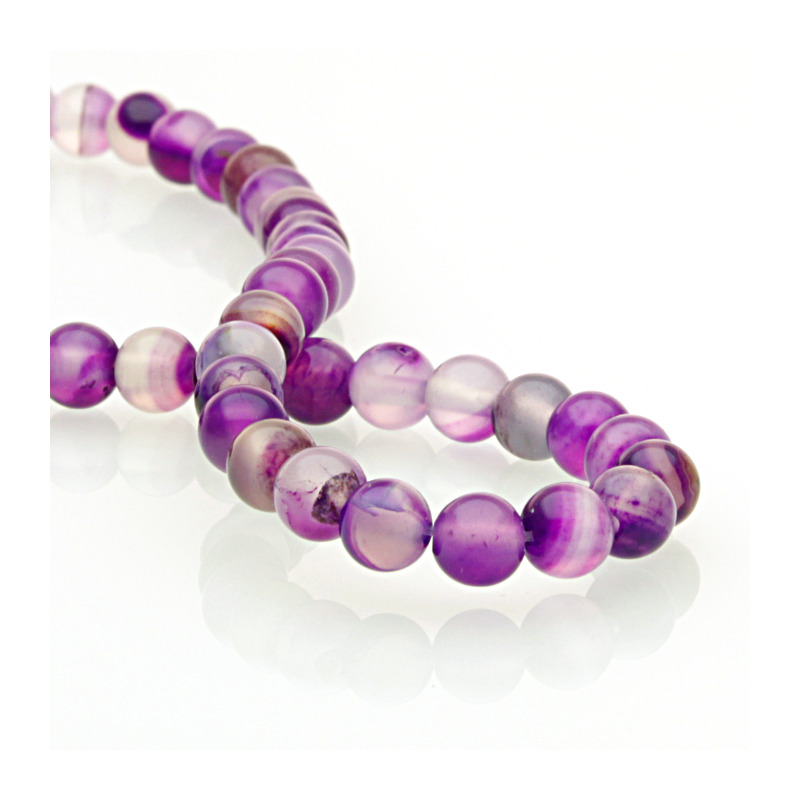 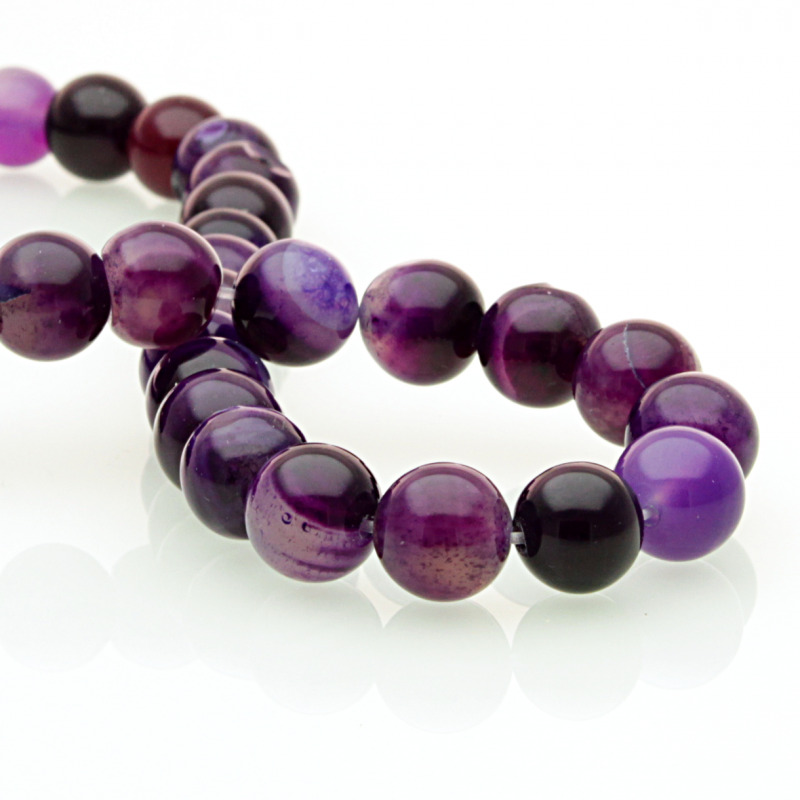 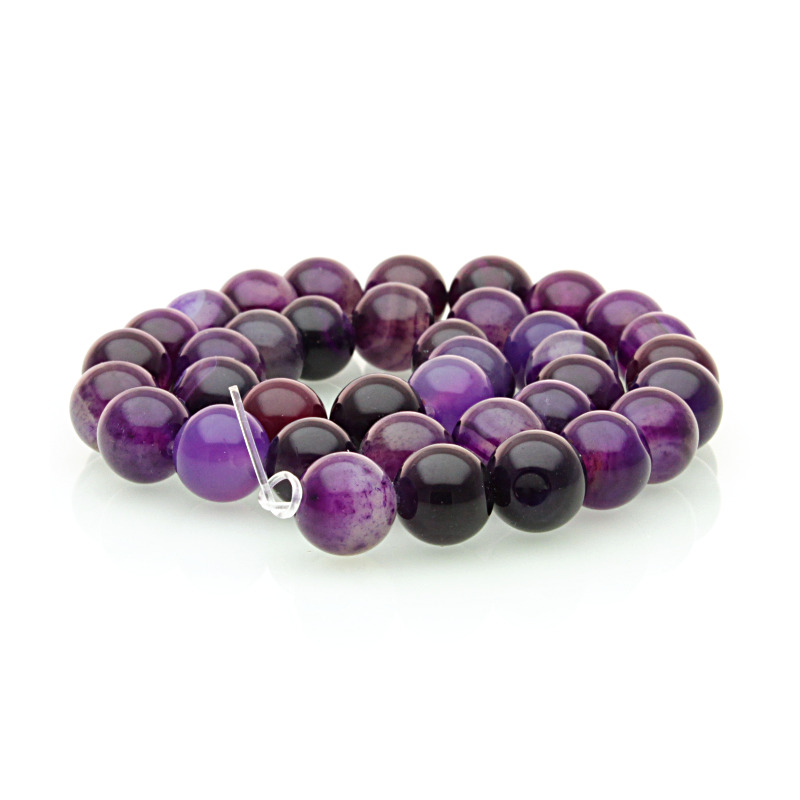 These agate beads are available in various sizes. 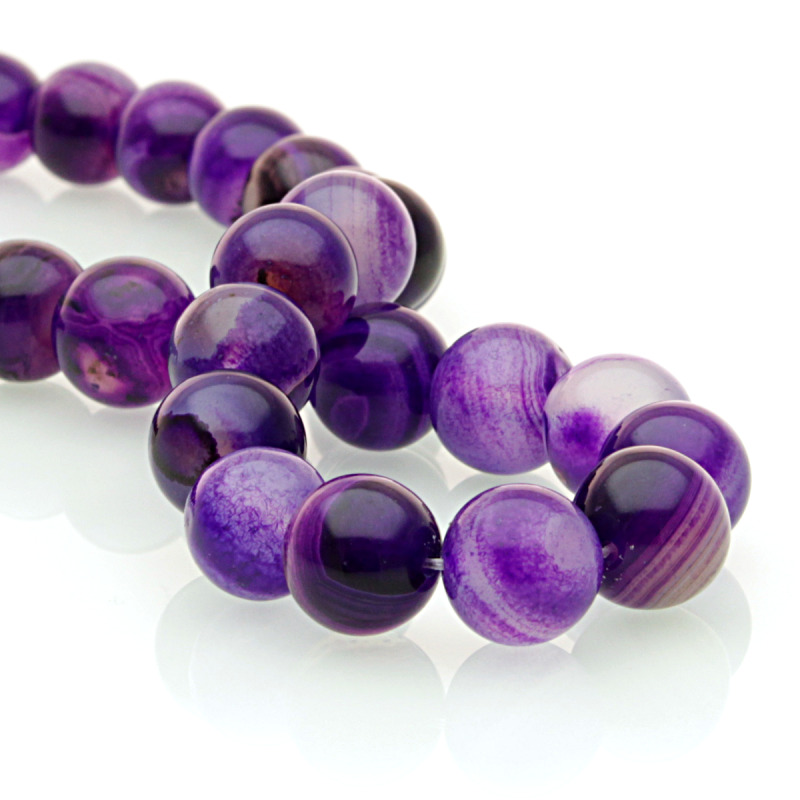 They have high gloss and vibrant purple color.